Can it compete with the Toyota Vios and Honda City? 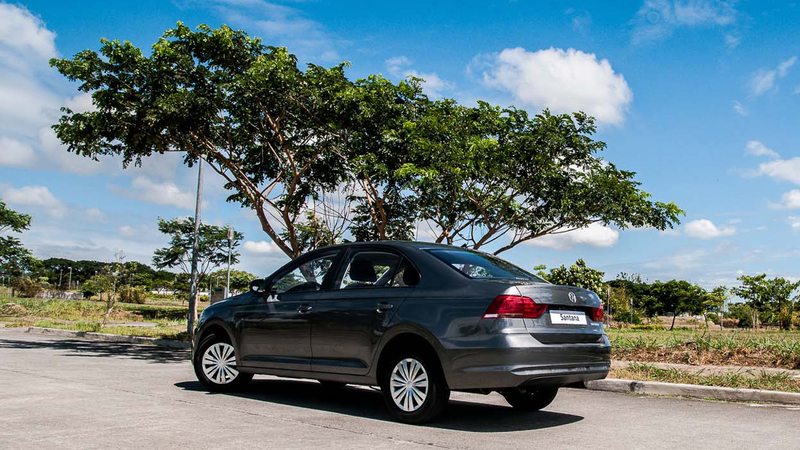 The year 2013 saw the reintroduction of the Volkswagen brand into the Philippines, and with the efforts of the Ayala's Automobile Central Enterprise Inc. (ACEI), it has enjoyed moderate sales success. 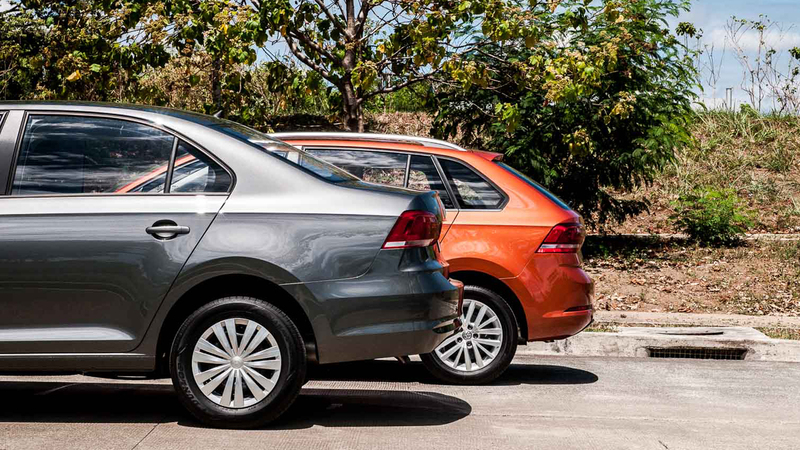 Its lineup initially included the Jetta, Tiguan, Touran, Beetle, Touareg, Polo Notch and Golf. Additions such as the Golf GTI, Golf GTS wagon and Caddy MPV, along with a few novel vehicle offerings such as the Crafter, made for interesting purchase options for the Filipino buyer. The Jetta and the Golf GTS wagon, which have since been refreshed, have proven to be relative successes for the fledgling car company. A steady rise in dealerships and service centers all over the country also demonstrates the brand's long-term commitment of quality to its customers. But trying to be an affordable German car brand in the Philippines is quite the challenge. Scandal-plagued and with logistic and economic issues, Volkswagen had a difficult rebirth in our country. Japanese heavyweights such as Toyota and Honda, which enjoy a more established presence in the country, have a far bigger advantage in terms of creating a working formula for the local market. Not to mention the rising influence of the Koreans, who are snapping at the heels of their Japanese competitors. I believe this is why a new player like Volkswagen matters. Yes, it's going to be an uphill battle for the Wolfsburg-based carmaker, but we consumers also deserve the experience that European motoring brings. As much as I enjoy the sharp, swoopy lines and curves that the Japanese and the Koreans have to offer, I can't possibly be the only one hankering for some restrained Teutonic styling and driving dynamics, right? 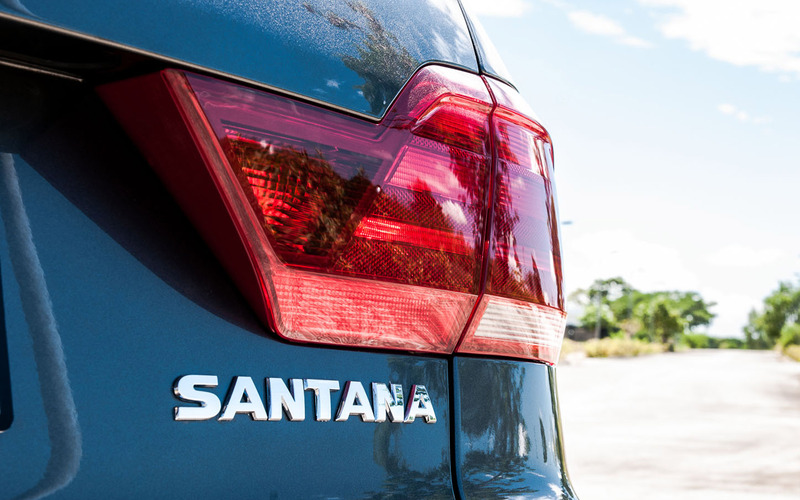 Enter Volkswagen's new subcompact contestant, the Santana, which I believe is the most significant product the automaker will be releasing this year. Why, you ask? The German brand is finally bringing in a car that can better compete in the subcompact wars against class leaders like the Vios and the City. 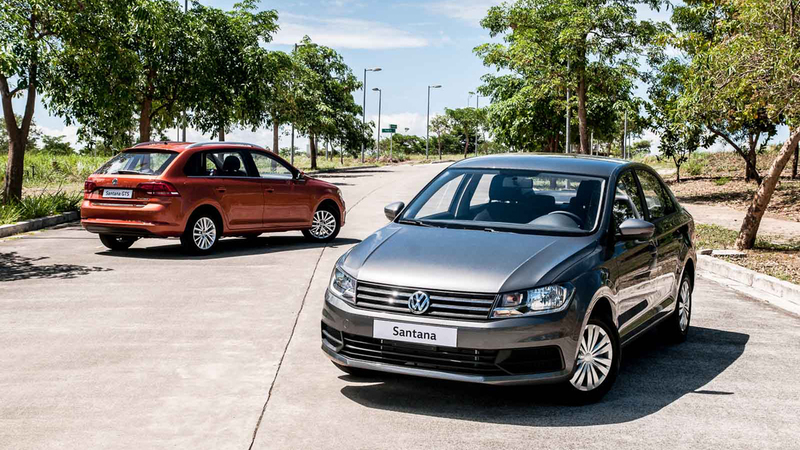 Although the Polo was set against the two, pricing difficulties prevented both the Notch and Hatchback versions from breaching the sub-P800,000 mark--a pricing territory fully enjoyed by other marques with similar offerings. So how is the Santana any different? For starters, the 1.4 MPI Trendline with a manual transmission you see before you is priced at P686,000 (Yep, you read that right!). That's more than a P100,000 less than the Polo Trendline, and about P200,000 down from the Polo Hatchback. I do believe that’s as competitive as competitive pricing gets. Volkswagen is ready to sell its baby, and is putting it up on sale as early as May 19 at dealerships. 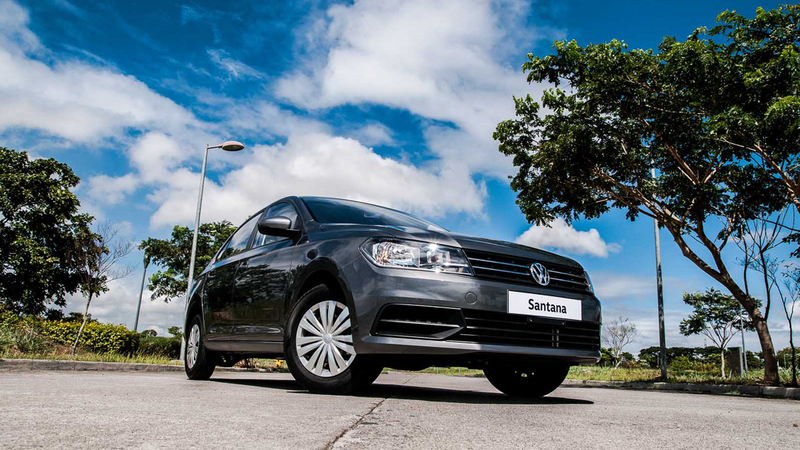 The Santana is roughly built on VW's PQ25 platform, which it shares with the Mk5 Polo, along with other stablemates such as the Skoda Rapid and Seat Toledo. I say roughly because it could possibly be the PQ26 platform that it rides on, an upgrade from the PQ25, which includes--among other things--better electricals and a longer wheelbase. 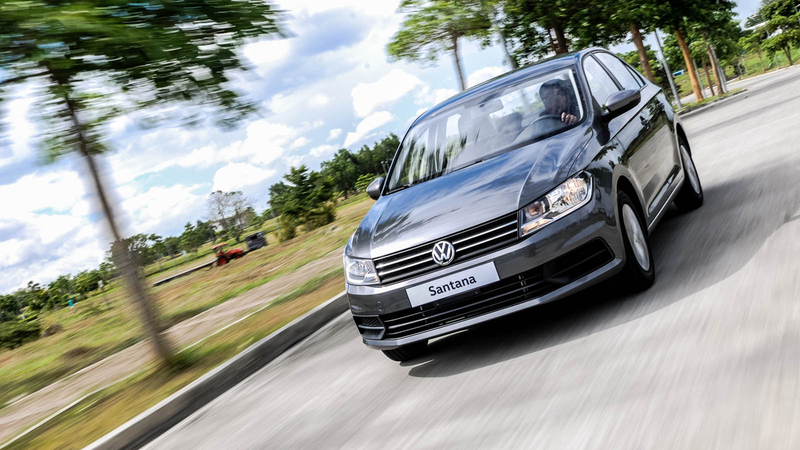 When compared to the Polo's 2,470mm (Hatchback) and 2,552mm (Notch) wheelbase, the Santana's measures 2,603mm. But enough of the technical claptrap, and let's take a peek into what the new kid has to offer. The exterior is reminiscent of the current Polo Notch, albeit bigger, and it almost stretches out to the size of the current Jetta. It looks perceptively smaller than the latter partly because of the smaller 14-inch wheels and a slightly more wide-eyed facade. The angles, creases and cuts are pure Volkswagen, though. Our Pepper Gray companion will be joined by three other colors when they go on sale, namely: Polar White, Reflex Silver, and Deep Black. Go, team Monochrome! The Santana is powered by a Euro 5-compliant 1.4-liter 16-valve, MPI four-cylinder engine pumping out 89hp at 5,500rpm and 132Nm at 3,800rpm. A bit down on power but pretty torquey for its size. The naturally aspirated EA211 engine being designed more for economy and durability than outright power. There is, however, a 1.4-liter Turbo in that engine family; I'm hoping it will show up on our shores as well. Power from the engine goes through a five-speed manual transmission and ends up on the wheels via a MacPherson front and torsion bar semi-independent rear suspension setup. Stopping power is via the segment standard front disc/rear drum setup, while an electric power steering system comes standard. There is a handsome-looking but basic stereo system, which skips wireless connectivity for SD card and USB connections. The interior looks well sorted out, even with the hard black plastics, and is designed well enough to state that the car indeed belongs to the Volkswagen stable. 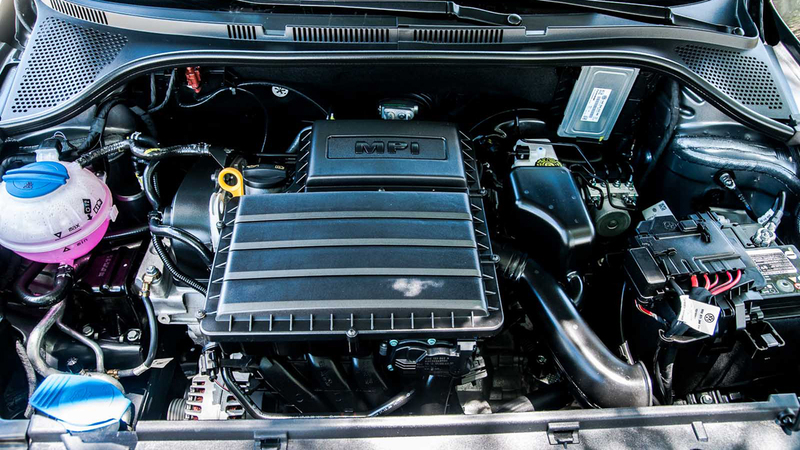 A few minutes with the car reveals a quick-cooling A/C system, easy to read gauges, easily operable knobs and a feeling that you're inside a stripped down Jetta. The steering is quick and light--good for driving in and out of city roads--but I've yet to see how the Santana will do out on the open road. 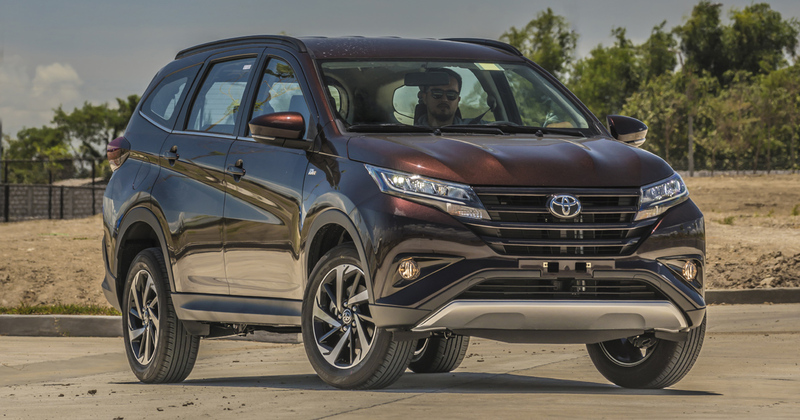 The brakes are more than capable, with pedal feel that is consistent and confident, and the five-speed manual has a good throw, with a clutch that is very driver-friendly despite being a cable unit. The reverse gear will take a bit of getting used to though, as it sits to the left of the first gear and seems to like being hunted. Inexpensive doesn't necessarily mean cheap. Volkswagen's lengthy foray into building cars has given them great insight into what works in divergent market conditions. The Santana surely enjoys all the benefits of its simple yet functional engineering, which has been honed, improved and perfected in various configurations throughout the years. Will the Santana give the market leaders a tough time, and can it revive the fire and magic of the olden days and possibly become this generation's Beetle? We'll just have to wait and see.